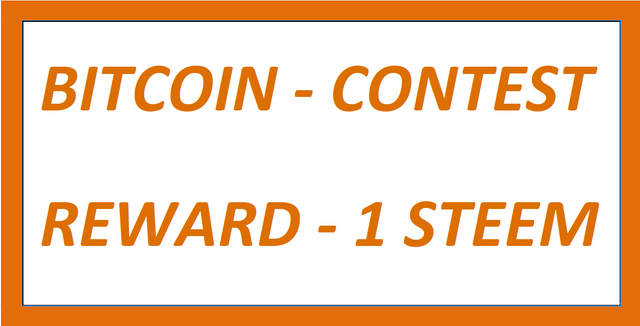 Wednesday – Mar - 6 - 2019 - Bitcoin - Predict the Price and You Could Win 1 STEEM! I would like to invite all who are new to Steemit community platform, have basic knowledge about Crypto trading and meet the requirements listed below to participate in this contest. The purpose of this contest is to help minnow accounts and encourage Community growth on this site. Leave a comment with your number predictions for today’s closing prices (prices close at 02:00 UTC or 22:00 EST), and you will have a chance to win 1 STEEM. The comment with the closest prediction will win 1 STEEM. Required: Rep at or above 40 to be eligible. This contest is valid for the first 25 comments entries only. Edited comments will not be considered valid. If you make a mistake, delete the comment and write a new one. In the event of more than 1 correct prediction entry, the earlier correct prediction entry will win. Comments must be submitted before 18:00 UTC or 14:00 EST to be eligible. Another post for claiming rewards, rule updates, and general questions about the contest, will be created after the current contest day ends. I will use the reward (STEEM) to power up the winner account within the same day as the post mentioned above. Please read the description before joining the contest!